Because we provide you with our experience and advice, quality of service and technology adapted to each case. At Albeniz we have been manufacturing labels for over 100 years, of which the last 40 have focused almost exclusively on self-adhesive labels. 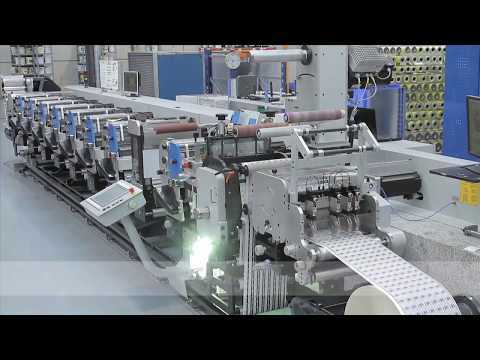 Albeniz is today a European reference in the domain of self-adhesive labels, with over 1200 labelling machines installed in the market. Exporting labels accounts for 35% of our turnover, with sales in over 30 countries. And what’s more important for us, the extremely high satisfaction of all our customers. We stand out for our turnkey solutions in self-adhesive label printing and application systems, after sales technical support included. The objective is to make available to the customer our optimal labelling solution for each specific application. We guarantee the full function of the label-machine pair, Albeniz being the sole responsible before the customer in case of any problem occurring in the application of the label - regardless of the cause of the problem. Building on our wide experience we can provide you our fully trustworthy and guaranteed advice. At Albeniz we not only manufacture what the customer requests us to. We also act as an engineering partner, providing innovative technical and sometimes unexpected proposals that will help improve your processes, both in terms of quality and of productivity and cost-effectiveness. This advisory role has become increasingly important considering the huge variety of existing materials in the market and the speed at which manufacturers launch new products and applications. For us, maintaining a continuous relationship with adhesive material manufacturers and with printing and application machinery manufacturers is a crucial aspect and a priority. We are approved providers to top-ranking multinational companies in sectors as demanding as tyres, chemicals, domestic appliances and pharmaceutical manufacturers. In recent years at Albeniz we have registered several patents in the domain of self-adhesive labelling, which evidences our high level of innovation. Continuous improvement is mainstreamed in all our processes with high levels of quality and service, all to the benefit of our customer. Technology is a priority element, aiming to minimize the risk of faults and errors.